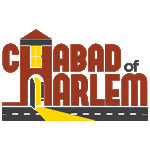 Hosted at: Chabad of Harlem 437 Manhattan Avenue, corner of 118th Street. The Prayers are Warm. The Melodies are Timeless. The People are Friendly. Children are Welcome. And Everyone Feels at Home. The traditional service is designed to guide you step-by-step and will make you comfortable regardless of previous exposure and background. This, coupled with classic Chassidic melodies and an easy to read prayer book with English translation will make this year’s High Holidays an enjoyable and meaningful experience. We offer an excellent children's program during some parts of the main services. The programs are run by loving and engaging leaders, who will explain the meaning of some of the prayers. Stories, songs, refreshments, contests and prizes will be included in this special holiday children's program. There is no charge for this program. Where We Already Saved You a Seat.